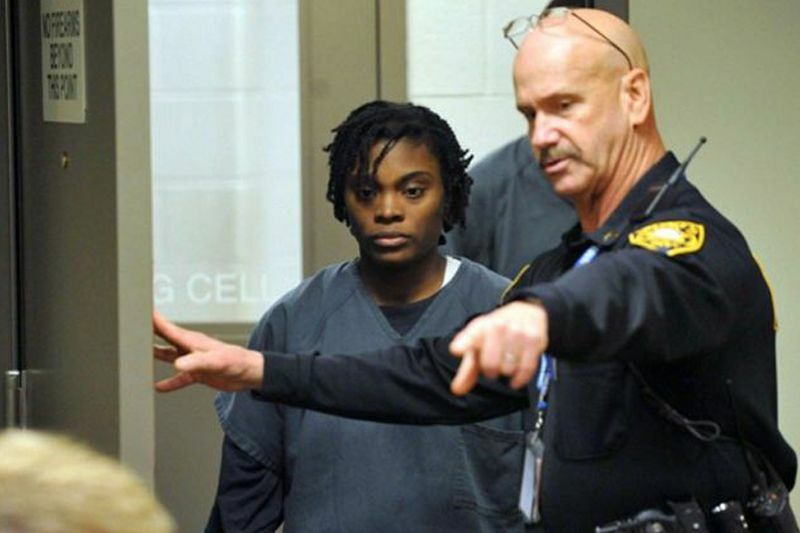 The father and stepmother of a ten-year-old girl who was found starved to death and burned in a trash can have pleaded not guilty to her murder. Emani Moss weighed just 32lbs when her remains were removed from a garbage bin outside an apartment complex in an Atlanta suburb last year. The girl’s father, Eman Moss, and step-mother Tiffany Moss were charged with murder, concealing a body and child cruelty. Police alleged the couple starved to death the child before setting her body on fire to cover up the crime. The couple entered not guilty pleas after hearing the official charges against them when they appeared in court on Friday, WSB-TV Atlanta has reported. An investigator told the court the couple felt they needed to get rid of the body ‘to keep the family together,’ according to the Gwinnett Daily Post. Prosecutors are seeking the death penalty for the two accused, which could cause the case to move more slowly. In November last year it was reported that Detective Collin Flynn said that Eman Moss had initially told police that Emani died after swallowing some chemicals. The man later changed his story, accusing his wife of poisoning the 10-year-old. 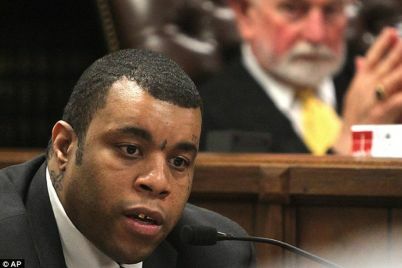 Eman Moss eventually admitted that he returned home from work on October 24 to find Emani lying in the bathtub and unable to move. 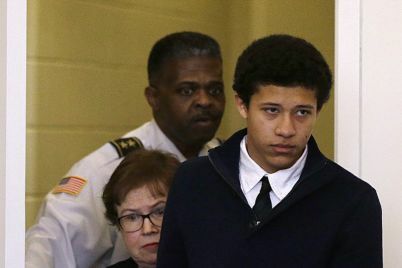 Neither he nor Tiffany Moss, however, sought medical attention for the girl because they were afraid they would get in trouble with the law, Flynn said. According to a report from Georgia’s child services agency, Eman Moss bought a trash can and tried to incinerate his daughter’s body in it. When the girl’s remains would not burn, he took Emani back home and called police on November 2. It had earlier emerged that Georgia’s child protection agency had dismissed a report that Emani Moss had been beaten with a belt. The Division of Family and Children Services did not send caseworkers to interview the girl, examine her injuries or question her parents. Agency officials concluded the beatings were corporal punishment and ended the case despite four prior maltreatment investigations involving the child. 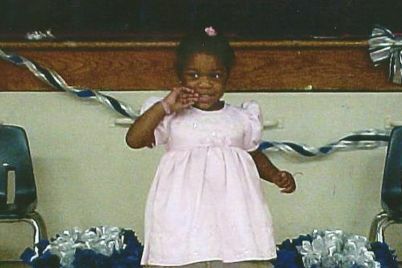 The agency first made contact with the Moss family in 2003 when Emani was only one year old, the station 11Alive reported. Caseworkers were told that the baby was not being properly cared for and denied food, but the officials ruled the allegations ‘unsubstantiated’ and closed the matter.